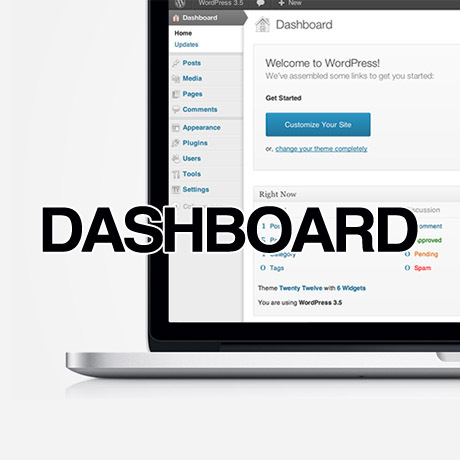 The Dashboard is a tool to quickly access the most used areas of your blog’s Administration and to provide glimpses into other areas of the WordPress community. The Dashboard Screen presents information in blocks called modules. WordPress delivers eight modules: Right Now, Recent Comments, Incoming Links, Plugins,QuickPress, Recent Drafts, WordPress Blog, and Other WordPress News. The first screen you see when you log into the administration area of your blog is your Dashboard. The main idea of the dashboard is to give you a place where you can get an at-a-glance overview of what’s happening with your blog. You can catch up on news, view your draft posts, see who’s linking to you or how popular your content’s been, quickly put out a no-frills post, or check out and moderate your latest comments. The Dashboard acts like a cockpit with all the controls and switches you need to help your website function the way you want it to. This might seem basic to those who have been using WordPress for quite some time now but there are still quite a few out there who are still struggling to figure out how to find their way through the backend, scared to death lest they “break” their website beyond repair. If you are a WordPress beginner, the Admin Section or backend can be quite intimidating at first, but once you become familiar with the different sections, everything will make sense. What do you see after you successfully login to your WordPress website? Here’s what you can expect. The Dashboard contains the following default modules. These modules can be dragged, dropped, repositioned, or toggled on and off according to your preferences. This module, at its basic, gives you a concise overview of your what’s going on with your site. It contains information and stats about your content (posts, pages, categories, tags), discussions (approved, pending, or spam comments), the name of your WordPress theme and the number of active widgets you are using, users online, and the WordPress version installed. More information can be included in this module depending on any additional plugins you install. You can also customize your Privacy Settings if you wish to keep your site private. This module is the best and quickest way you can create a simple post. You can add a title, content, media files, custom forms, tags, and save your post as a draft or publish immediately. It’s a great tool for capturing and publishing ideas without going through the “Add New Post” module. If you allow comments on your website, this module helps you moderate the discussions on your posts. You can approve (unapprove), edit, reply, mark as spam, or delete comments right on the dashboard. This module displays saved drafts of posts and pages that you are working on which still needs to be edited or published. 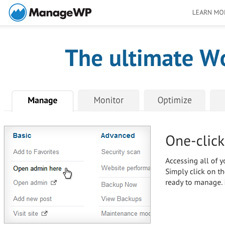 This module reveals the urls of other websites that has linked to your WordPress website. You may or may not find this module useful as it does not always include all the websites that link to you. You can also configure incoming links you allow by editing the RSS feed information ( url, number of items to display, item date). This module displays recent posts from the official WordPress Blog, Other WordPress News, Popular or Latest Posts from around WordPress. This keeps you updated on the latest WordPress related news such as version announcements, security notices, and general WordPress community posts and updates. This module lists the Most Popular, Newest, and Recently Updated plugins available. If you are adventurous and you want to experiment with how different plugins work on your site, this is the perfect resource to find plugins to play with. This module is probably the one you need to pay most attention to. It shows you a graph of your website’s activities – views, visitors, traffic – per day, week, or month. It’s a great tool to find out how many visits you get, what your top posts are, top searches on your website, and overall statistics to help you improve, maintain, and optimize your site even further. Knowing the functions of each of these modules will help you learn how to use them to manage your website. Take some time to go through each one of these modules and familiarize yourself with each of them. You’ll soon be mastering all of them and it’ll be instinctive later on. 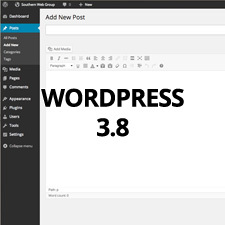 WordPress 3.8 Beta 1 Released!